Oakland, California. If the end of Capitalism has arrived, should we establish a museum to preserve its history and reflect on its past? This summer, curator Timothy Furstnau and Andrea Steves realized this concept in the city of Oakland, California. Once walking into the Museum of Capitalism, you can play with a machine that is filled with pennies. Just rotate the rod for an hour - the value of the coins come out of the machine will equal to the minimum wage of the city that you are at. Next to the machine is a display box of shopping bags. 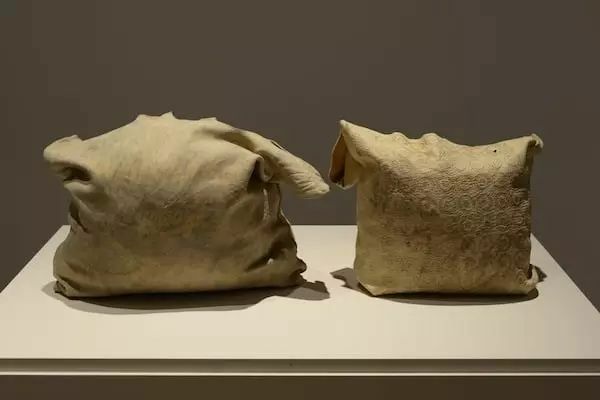 Although they are not the kind of plastic bags that float in the air in the movie American Beauty, these leather-made bags with logos of big chain supermarkets statically assert their nature as capitalist products. Its wall label even uses past tense to introduce the history of plastic and leather grocery bags, as if their damages on environment and human life are stories of the past. Jumping out of the capitalist context we are in right now, looking back with a futuristic perspective, and using art to increase new distance between Capitalism and us - this is the original intention of opening this "museum". During his interview with TANC, founder and curator Timothy Furstnau recalled in 2010 when he heard the British political theorist Alex Callinicos talking about museums of Capitalism in the future - like the Apartheid Museum in South Africa and the Museum of Communism in Prague - he registered museumofcapitalism.org immediately. After finishing initial research, this curatorial duo received a grant of $215,000 from the Emily Hall Tremaine Foundation. This grant helped the collective rent an exhibition space in Oakland to host this 2-month long exhibition of 80 artworks lent by over 60 artists. During the interview, the curator highlighted Sharon Daniel's video work: an African American female prisoner complaines about her job of sewing flags of the United States. "I only get paid for 65 cents for an hour." Is this the so-called love, equality, and pride that American society truly believes in? It is also the curator's intention to encourage the audience to interact with artworks. You can step on a running machine designed by Hong Kong-based artist Christy Chow. The faster you run, the faster the women worker can produce a piece of clothing; but if slowing down your steps, you will fail the mission in seconds. The Capitalist Bathroom Experience also worths trying - here, you will read about the history of public health, privacy, surveillance, and unisex restrooms. Works created by non-artists are also presented in the museum. 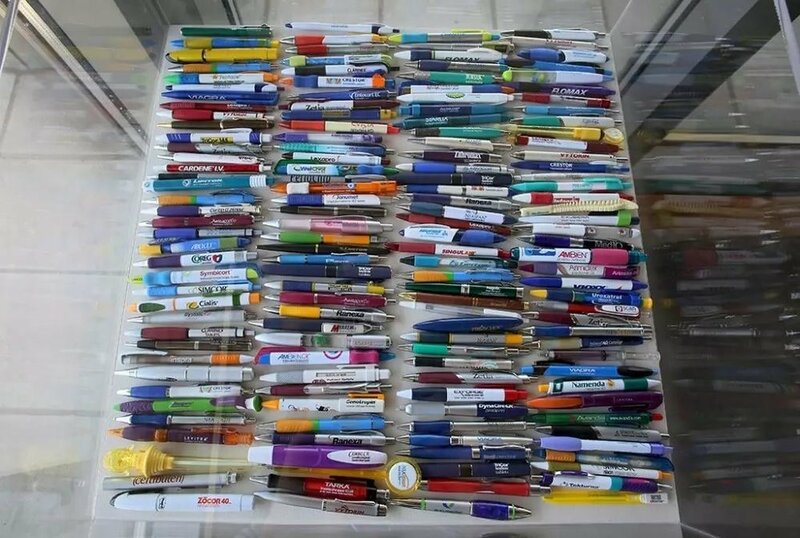 Dr. Caren shows off a small part of his massive collection of signature pens. These are all gifts to him from pharmaceutical sales representatives throughout his early career. Due to a recent act, the doctor no longer received new gifts, and this collection became the real marks in this history of pen gifting. The pop-up shop inside the Museum of Capitalism is crafted as an artwork as well. Artist Even Desmond Yee evenly divided a space into two, mirroring each other: one side is decorated as a typical 21st century museum store, while the other only displaces the same shelves but with no products. The artist seems to invite his visitors to investigate their desire of commodity through this empty room. The inaugural exhibition of Museum of Capitalism is closing on August 20th. The curator told me that the artist collective CoClimate will host a closing ceremony on the same day. He pointed at a group of small clay busts hanging over a pile of soil, which are filled with biodegradable plants seeds. These clay sculptures will be cracked, releasing the seeds to the journey of making our natural environment a little better. Talking about the next step of the museum, the curator mentioned the upcoming exhibition catalogue, which includes articles contributed by art critic Lucy Lippard and political philosopher Chantal Mouffe. The Emily Hall Tremaine Foundation will keep supporting this curatorial project and bring it to more cities in the United States. "Rather than running a permanent space and building up a collection, we are more interested in and more passionate about the process of collaborating with artists all over the world." 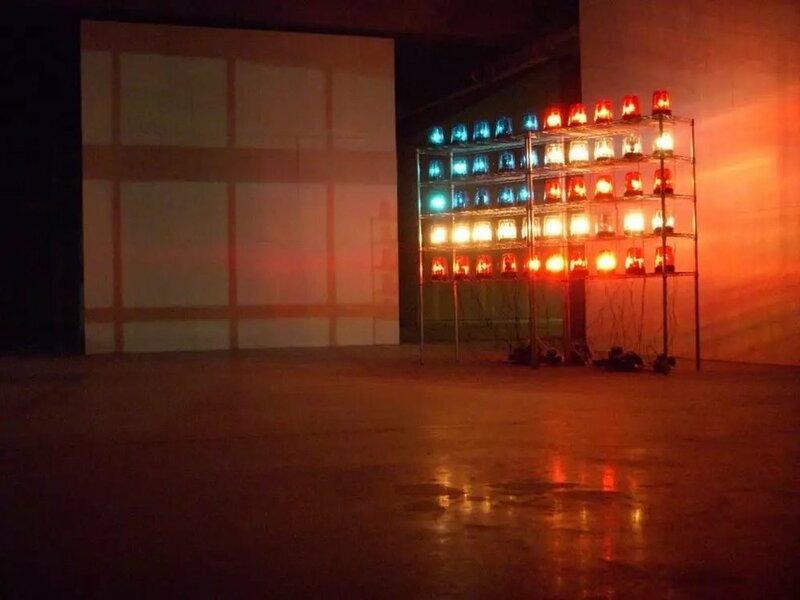 Next to the exit of Museum of Capitalism, an installation of police beacon lights attracted my attention, as if it is delivering concerning messages to museum visitors. At last, once we step out of the Museum of Capitalism, we enter into the real world of Capitalism. But this time, we should take our new thinking with us.